If you're a teacher or trainer, you've likely struggled with the process of providing Certificates of Completion (or Certificates of Attendance and such) to your workshop attendees. 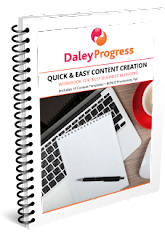 Using a Word template, your process might be something like this: prepare your spreadsheet for a mail merge, complete the merge, convert each .doc to .pdf, print, fold, mail merge the envelope addresses, print labels, affix to envelopes, stuff envelopes, lick stamps, run to the post office. Even if you're paying someone to do this for you, it's pretty labour intensive and prone to error. Add the cost of printing and postage, and providing certificates isn't cheap. Consider using your bulk email application, such as iContact, to automate this process. There is a little set up involved but, once it's done, it's quick and easy to use. First design a certificate template in your email application. You can do this in much the same way as you would in Word. Leave blank areas for the person's name and the completion date. If you teach different topics, you can also leave a blank area for the course name to fill in. If there are other pieces of info to be included, such as professional accreditation codes, location, or student numbers, leave blank areas for those, too. Now save your template as a draft - we'll come back to it. Next create the custom fields you're going to need. Your application already has fields for first and last name but not for things like completion date or course title - you'll need to set these up yourself. As an example, let's say you set up segments called compdate and coursetitle. Now open your draft certificate template and plug in the form fields. Again, this is done very much the same as using merge fields in Word. In the area for the person's name, enter the field names in square brackets - [fname] [lname]. In the the area for completion date, enter [compdate], and so on with the other fields. That's the set-up part. 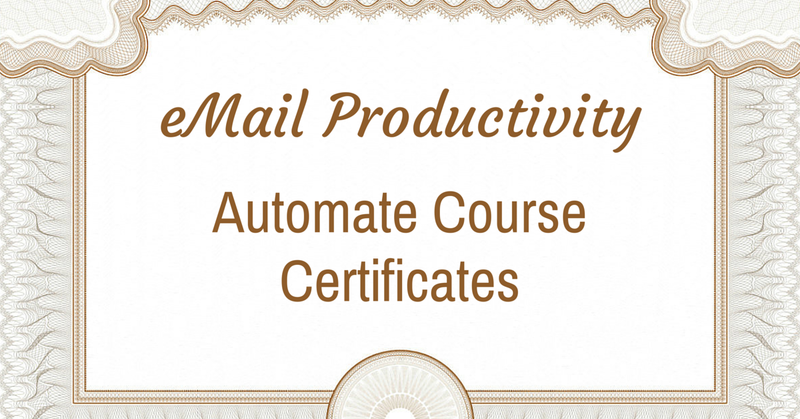 Now you're ready to send those certificates by email once your next course is finished. Can you believe it'll take less than 10 minutes to customize and send those certificates, whether it's 30 or 300? Set up a new list in your email application. It'll be temporary but you won't want to reuse the same list name in the future, so I suggest using something distinct like the date. 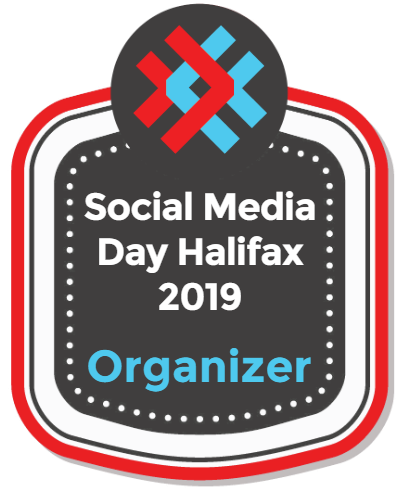 Upload your attendee list in spreadsheet format. It must have columns for each of the merge fields you're using in your certificate. If we use the same example from above, the spreadsheet will have 5 columns labelled: [fname], [lname], [email], [compdate] and [coursetitle]. The exact process will vary depending on your software but the list upload done properly will result in those contacts having the custom fields assigned. Send the certificates. Open your draft template, pick the list to send to (the one you just set up), and send. After the set-up, run a test using a spreadsheet with your own information following the send process above. Remember to proof for errors. The person who receives the certificate has options, such as printing the email or converting to .pdf to save. It's also easy to forward on to their HR department or supervisor for tracking. If you are good about gathering your attendees' information, the certificate sending really will be less than 10 minutes. 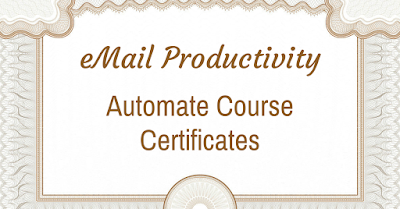 The savings of this process will quickly add up when you're regularly sending certificates.